Pejë, 19 December. Identification, addressing and seeking opportunities to solve the primary needs of families - was the purpose of today’s advocacy meeting with families of different communities of Ciga village, representative of the territorial community and teachers of the school of this village. The cycle of this year’s advocacy campaigns with the community is concluded with this activity. 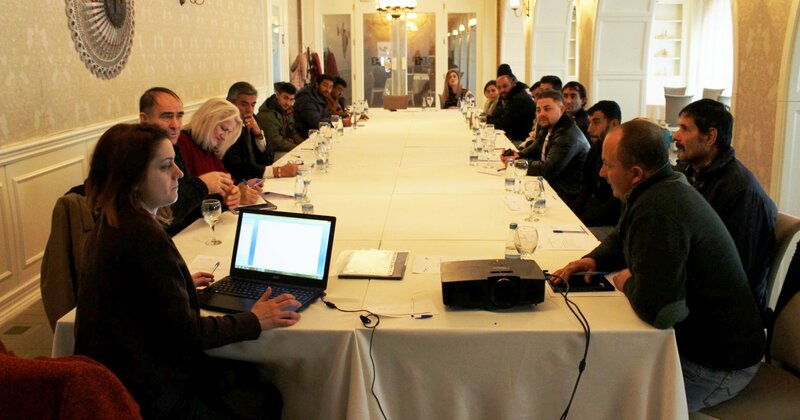 It is worth stressing that within the project “Support in Integration and Empowerment for Roma, Egyptians and Ashkali Returnees through Development of Capacities in Primary Education in Kosovo” implemented by Syri i Vizionit and supported by GIZ, 18 advocacy campaigns were carried out during 2018 with the community through which more than 300 people were reached, mostly from Roma, Egyptian and Ashkali communities. The overall aim of these campaigns is to improve the overall social and economic opportunities and conditions of the communities living in six areas in which the project in question is being carried out, with particular emphasis on the educational and teaching aspect of children and their families. With the engagement of families, children, school teachers, local government officials and representatives of civil society organizations, the main needs and problems of the social, educational and economic spheres of the communities and primary schools of the six different areas of the municipalities of Pejë, Klinë and Istog were identified. And, as a result, efforts and resources have been activated for their solution, primarily with the help of local and public institutions, as well as other stakeholders involved in this process.